Present state: The degraded remains of both platforms can still be seen. and a ramp down to the platform. The westbound line had a waiting shelter. Despite its remote siting the station also had a goods service. 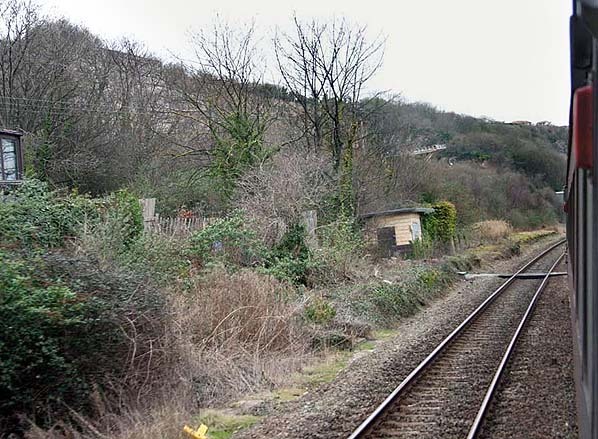 On the 1st July 1889 the station was renamed as Llysfaen because a new station was opened on the line further to the east and it was given the name Llandulas. 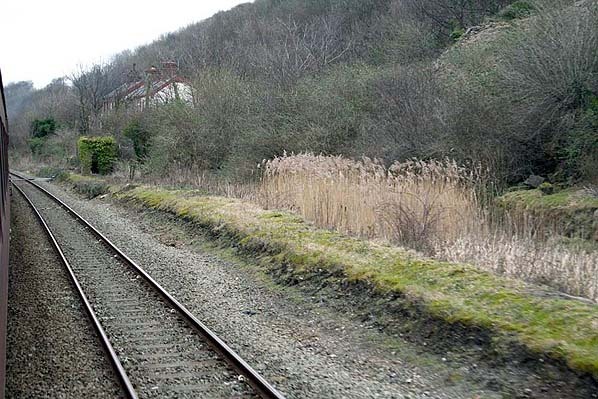 Being in a fairly isolated position the station would have been served by local stopping services but a steady stream of express passenger and goods trains would have passed through. Llysfaen was an early closure to passengers and goods closing on the 5th January 1931. Today degraded remains of both platforms can still be seen. A hut still stands on the westbound platform mound but it is likely to be a disused permanent way hut, rather than an original waiting shelter. The degraded remains of the westbound platform at Llysfaen looking west in July 2006. 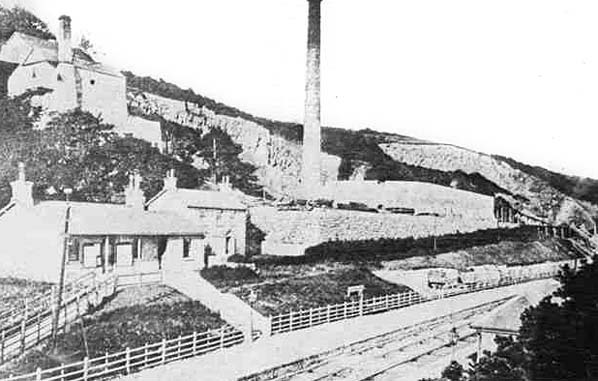 The building is unlikely to be an original station building and is not shown on the 1890's photograph above. It is more likely to be a later permanent way hut.